TEMPOROMANDIBULAR JOINT DISORDER MOSTLY OCCUR IN PEOPLE WITH HABITS OF GRINDGING AND CLENCHING TEETH AT NIGHT DURING SLEEP. The jaw joint, also called temporomandibular joint, enables the movement of the lower jaw which is an active structure in the skull. With the movement of a lower jaw, we perform the functions of chewing, speaking and swallowing. The task of chewing muscles is to contract and exert force on the objects coming from outside such as food. As a consequence of the exerted force, the movement occurs. The processes of cutting, dissevering and breaking into pieces are carried out by opening, closing, back-and-forth or right- and- left movements of a lower jaw. Problems with chewing muscles arise especially in case of grinding and clenching teeth. The muscles work very hard during the grinding and clenching of teeth, which is also called bruxism. During bruxism, the pressure on teeth can reach up to 100 kg. Especially during bruxism which occurs during the night and due to the stress, the contact period of teeth with each other is at least 4-5 times longer than normal. Bruxism, which is also known as tooth grinding and clenching, is one of the most important triggers of musculoskeletal joint disorders. As stress-induced teeth clenching may occur during daytime, most frequently we can observe it during a sleep. How do we detect bruxism? 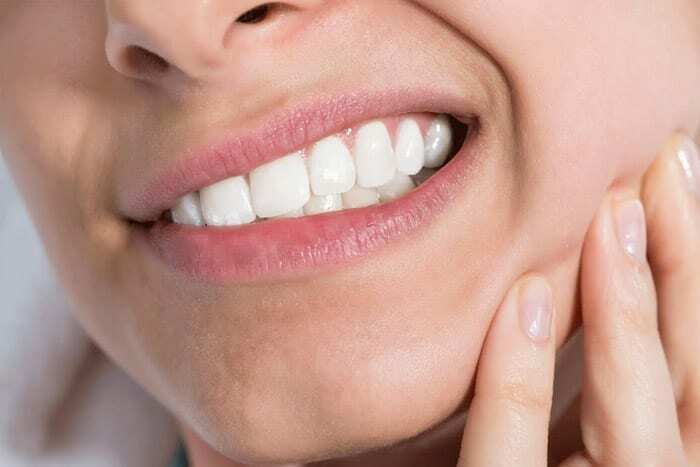 If we have the habit of clenching teeth unconsciously at sleep and if we experience fatigue of jaw muscles, pain in temples, pain in face, tenderness of teeth, forced opening of mouth and hardly chewing tough food after wake up in the morning, bruxism should be the main suspect. Is it difficult to diagnose the disorders of a jaw joint? Since ear, teeth, jaw joint and chewing muscles are very close to each other regionally, the source of pain can be mixed. For this reason, the complaints of the patient must be diagnosed by listening attentively and examining meticulously. What are the causes of joint or muscular disorders of a jaw? What are the habits that affect the joint and muscular disorder of a jaw negatively? What are the treatment options for a jaw joint? Treatment options vary according to the extent of joint or muscular disorder. Vast majority of joint or muscular diseases has multiple causes. Thus, it is necessary to reduce or completely eliminate these reasons. While muscle disorders are easier to solve, joint disorders may sometimes be permanent and only pain can be eliminated. For this reason, if you realize any symptoms mentioned above in your temple area, it is highly recommended to visit your dentist as soon as possible. What should be paid attention during treatment process? The duty of the patient during treatment process is to avoid excessive movements that would tire the jaw, and to remove the stress factor with psychological support if necessary. It is very important to reduce the burden on the joints, and the patient should be taken away from a stress. In case of severe pain, till admission to the physician, pain killers or muscle relaxants may be used.